Diana Minefield Walk. 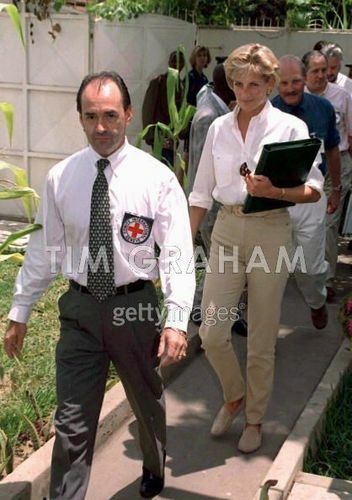 Diana, Princess Of Wales, Walking Through A Cleared Area Of A Mined Area Being Cleared Von The Charity Halo Trust In Huambo, Angola, Wearing Protective Body Armour And A Visor.15 Jan 1997. Wallpaper and background images in the Prinzessin Diana club tagged: princess of wales.